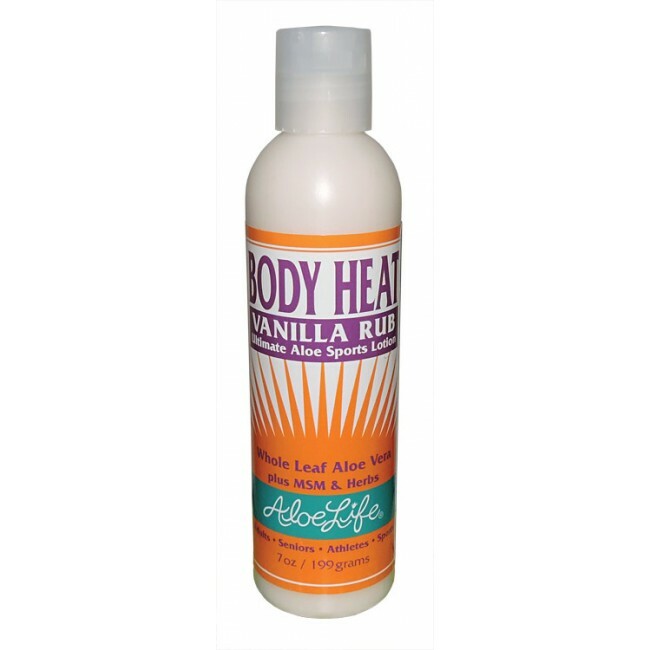 Body Heat Vanilla Rub 7oz supports penetrating, lubricating, warming action - soothing tired and sore muscles. Menthol, MSM, Whole Leaf Aloe Vera Juice, Arnica and other herbal extracts support the relief of tension and soreness due to athletic exertion, gardening, arthritic aches, shoulder, neck and back tension, old injuries, sore feet, daily stress and fatigue. 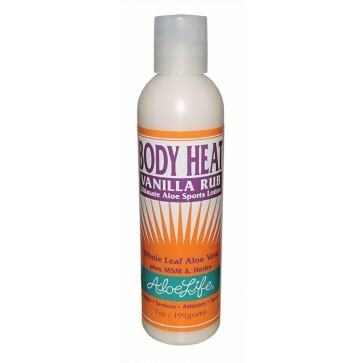 Body Heat Vanilla Rub 7oz supports penetrating, lubricating, warming action - soothing tired and sore muscles. Menthol, MSM, Whole Leaf Aloe Vera Juice, Arnica and other herbal extracts support the relief of tension and soreness due to athletic exertion, gardening, arthritic aches, shoulder, neck and back tension, old injuries, sore feet, daily stress and fatigue. The 100% natural Vanilla extract leaves a delicious fragrance with a non medicinal smell. Concentrated formula provides deeper longer lasting relief compared to other products - due to the transport characteristics of Aloe Vera carrying the actives down deeper. Growing in popularity for over a decade - Better Sleep and More Enjoyable Days with Body Heat! Satisfaction Guaranteed!